Rad Professional RZ Series Digital Scales – great for cooking! Digital Scales are great for cooking, not only are they accurate they are also smaller than standard scales making them easier to store and the Rad Professional RZ Digital Scales are no exception. These scales feature a bright LCD display in a compact design and is capable of weighing up to 1000 grams in 0.1 gram increments, perfect for your culinary needs. The Rad Professional RZ Digital Scales also features auto calibration, auto zero and off function, tare full capacity and is battery powered so can be used and transported just about anywhere. 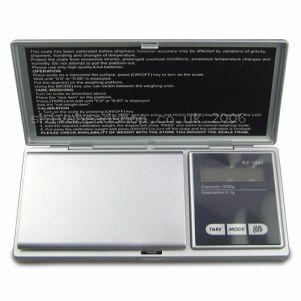 These professional digital scales are available now for just £29.99 each; let the cooking commence!